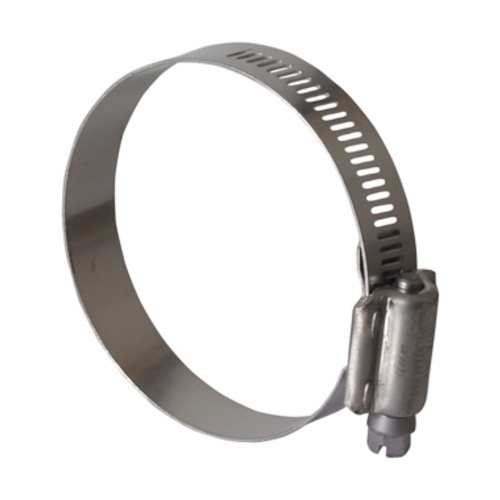 Stainless steel screw clamp. High quality. Fits tubing with an outer diameter between 2.25 and 3.12 inches. It's the size I need for a 2.5 inch must pump hose.